ROWR! Fit your cat with the Call of the wild! Gorgeous cheetah print, metallic spots on pretty pink collar. Your cat will be the prettiest in the jungle! ROWR! 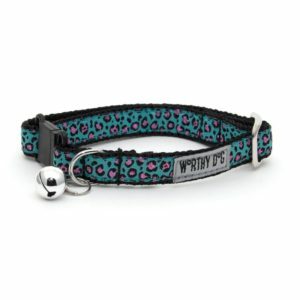 Fit your cat with the Call of the wild! 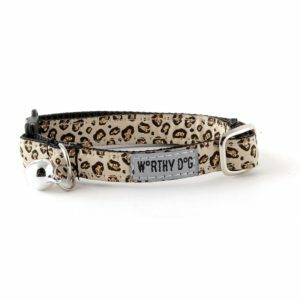 Gorgeous cheetah print, metallic spots on pretty pink collar. Made with quality fabric securely sewn onto durable nylon webbing. Snap clasp and nickel-plated D-ring offer convenience and a safe, secure fit. Bell is easily removed, if desired.